Six Sigma has come a long way since it was first conceptualized. It has been constantly evolving and is likely to grow more in the coming years. The methodology provides a vast playground for those keen to transform their business workflows and make the best of use of the opportunities available to their business. Those interested in the field should keep watching the space for exciting new developments, as Six Sigma holds the promise of limitless opportunities to those who are keen enough to identify and utilize them. 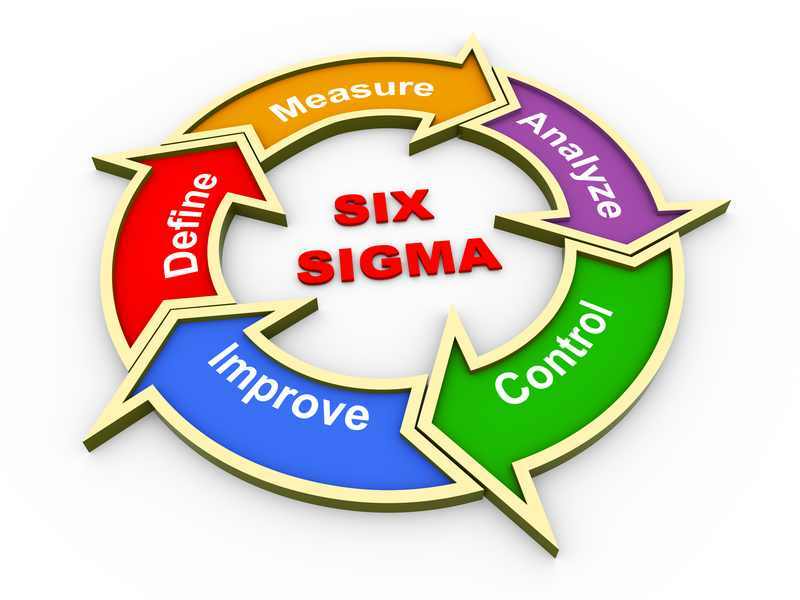 Six Sigma is based on the concept of continuous improvement. This technique promises increased sales, lower costs, and greater customer satisfaction levels. The methodology is centered around measurable improvement in quality and there is no better solution to achieve these standards. Use of Lean with Six Sigma: The use of lean techniques with Six Sigma has a proven greater impact on long-term success since, in addition to the minimization of variance, the tools also help remove waste processes from the cycle. The future is likely to see the continued use of Lean techniques so as to enhance quality to a much greater extent than otherwise possible. This, in turn, would lead to greater customer satisfaction and ultimately to the realization of business objectives. It is important to realize that each business and situation is completely different from the other and the approach to quality control should be customized and chosen accordingly. Utilization of Customer Data: Mining business and customer data will assume prime importance in the future. Even today, businesses are increasingly becoming aware of the huge potential of large datasets and a comprehensive data analysis. Data-driven and Fact-based Decision-Making: It is important to emphasize the need for a decision-making approach that is data-driven and fact-based since this is the essence of the Six Sigma strategy. Dubbing timely project completion as an “improvement” is a trend on the verge of extinction in the complex business environments of today. Process Size: Process improvement is maximal with three to six-month projects that follow the DMAIC strategy. This is expected to continue into the future. Valid Certifications: As Six Sigma is widely being used by businesses in all sectors, it will also be important for users to be wary of worthless certifications that have no real benefits. Use of Modern Technology: The future will see increased use of modern technologies, including sophisticated computers in the field of Six Sigma. Modern technology makes it easier than ever before to collect and analyze data at much faster rates. Furthermore, it is also becoming easier to observe a large number of processes with high accuracy. The cumulative effect is that human errors are reduced and lower waste is generated. Staying Away From Wrong Lean Trends: Businesses must stay away from shortcut approaches and the desire for instant results. Continuous improvement is a difficult process, for, if it were easy, everyone would adopt the techniques with little effort. Team Skills: The future will also see an increased emphasis on interpersonal and team skills. Businesses will seek the expertise of professional LSS Green Belts and Black Belts in implementing company strategy and leading the process improvement programs. Operational Excellence with LSS: Businesses will focus more on OpEx programs and frameworks. Such initiatives would help lead quality and process improvement efforts within the company, resulting in a robust and diverse process improvement program. The future will see performance excellence initiatives take the front seat in businesses. Experts envision that the detection of defects will be easier in the future. Since this is one of the main focus areas of the Six Sigma approach, there will likely be a lot of developments in this area. Sustainable development will be the central topic for most companies, and is expected to bring a paradigm shift. The post Future Trends for Six Sigma appeared first on Shmula.